You probably already know about Free Comic Book Day, celebrated annually on the first Saturday in May at your local comic book store and also at your local library – but do you know about National Comic Book Day? Each year on September 25, lovers of the sequential art form known as comic books (I know, so fancy right?) celebrate by reading as many comics and graphic novels as they can! Your neighborhood library has hundreds of comic books to check out; from superheroes like Wonder Woman and Iron Man to serious Award Winning literary graphic novels like Maus or Persepolis – there is so much to choose from! If you search for "comics" or "Graphic Novel", you’ll mostly find kids titles and honestly, some of Overdrive’s "suggestions" are not totally or exactly comics. Sometimes you might have to put a hold on a popular title and wait for a bit, but it’s not too bad! Just like Overdrive, Freading has a ton of comic and graphic novel titles PLUS bonus points for having Hellboy, Steven Universe, and a ton of both kids and adult graphic novel titles that we don't necessarily have in print. This one is my absolute favorite! Sure, you can only check out 4 titles a month BUT you don’t have to wait for a hold to come in AND they have single issues of comics if you need to catch up. It’s like instant gratification and I love it! Being that it is also Banned Books Week, we can't talk about comics and graphic novels without discussing the Comic Book Legal Defense Fund (CBLDF), who are a nonprofit organization dedicated to protecting the First Amendment rights of the comics medium—including all of those who create, sell, supply, and read comic books. 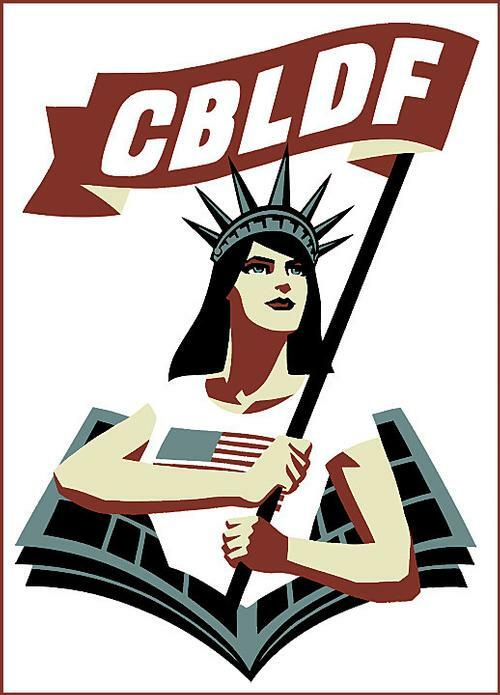 The CBLDF assists libraries in challenges to comics and graphic novels by providing letters of support, and access to resources to defend graphic novels when they are challenged. They have co-authored a resource guide with the National Coalition Against Censorship, and are currently in the process of authoring several tool kits to assist in collection development and defense of comics and graphic novels. You can find previously challenged and banned comic books and graphic novels that we offer free of censorship here in our catalog. If you're looking for more suggestions, check out our Graphic Novel Explore Topic! Let me know what you’ll be reading in the comments! The Comic Book Legal Defense Fund (CBLDF) assists libraries in challenges to comics and graphic novels by providing letters of support, and access to resources to defend graphic novels when they are challenged.